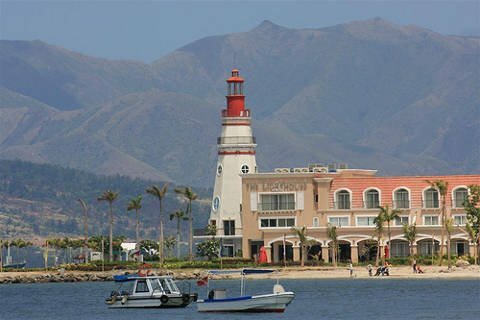 For many centuries, Subic Bay was recognized as a deep safe harbour. Realizing Subic potentials, the Spaniards used the bay as a port to defend and maintain the Philippines as a part of their empire in the 17th century. In 1885, it was built into a naval base that utilized the safe harbors and naturalresources. After their victory over the Spaniards in 1898, a naval repair and supply base in Subic was established by the Americans. It was only reachable by sea until 1932 when the zigzag roads were opened linking Subic and Olongapo to the rest of the Philippines. The Japanese bombed Subic in 1941 and was held by them until the US took back the Philippines in 1945. The naval base was returned to the control of the United States. The two invasions by the Japanese and Americans produced a number of bombed or scuttled naval ships in Subic. Scuba divers from around the world are now enjoying these wrecks in their underwater graveyards. Control and maintenance of Subic naval base remained under the United States despite the Philippines gaining their independence. The United States was given 99 years free access of the facility via an agreement signed between the Philippines and US. With the outbreak of the Vietnam War, Subic Bay became astrategic site in the maintenance of a strong US presence in Asia. In 1991, the eruption of Mt. Pinatubo covered Olongapo and Subic with nearly half a metre of ash. After the Senate of the Philippines rejected the renewal of the US bases treaty in 1992, the Subic Bay Freeport was established after the last of the American naval ships completed its pullout of forces. Since then, the SBFZ has now become a well-known economic, commercial and tourist hub. It is booming with world class restaurants and duty-free shopping. 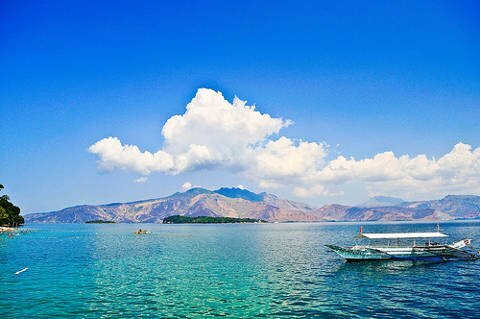 Subic is situated in Zambales Province on the west coast of Luzon 120 kilometres north of Manila. Mountains with lush jungles bound its coastal area. Mountains with lush dense jungles, suitable for trekking, surround the coastal area. The bay cuts out into the South China Sea. 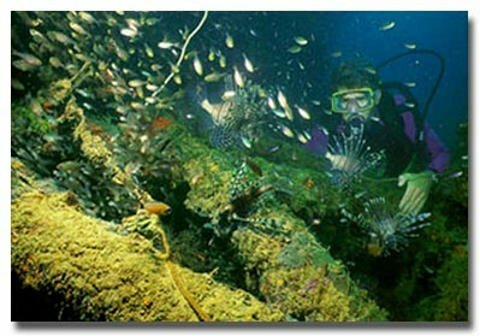 Subic brags of interesting wreck dives. It is home to an impressive combination of wrecks. The six wreck sites have an average depth of 45 ft. It also boasts of its rainforest and a white sand beach. Its world-class facilities, which include a marina, yacht club, hotels, shopping arcades and food shops, are supported by Philippine tourism. An international airport is another attraction.